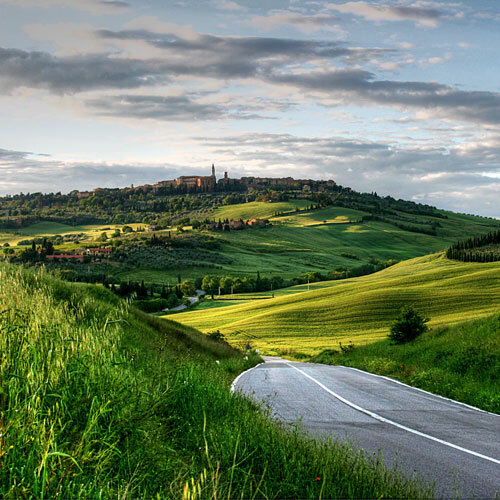 The small village of Pienza is strategically perched on top of a hill, dominating the Val d’Orcia. 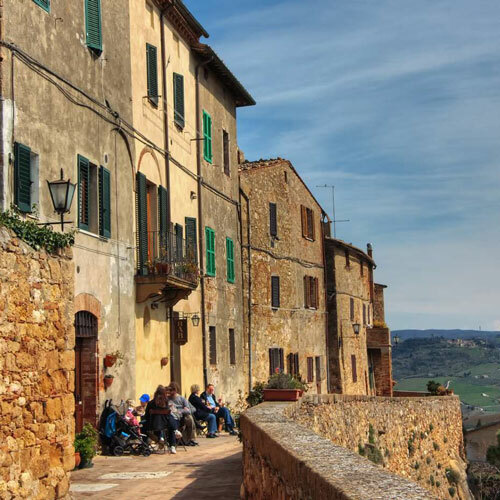 This charming village (which was originally called Corsignano) is known as the “ideal” city of the Renaissance, created by the will of Enea Silvio Piccolomini, who became Pope Pius II. The project was designed by the architect Bernardo – known as ‘Rossellino’ – under the leadership of Leon Battista Alberti. 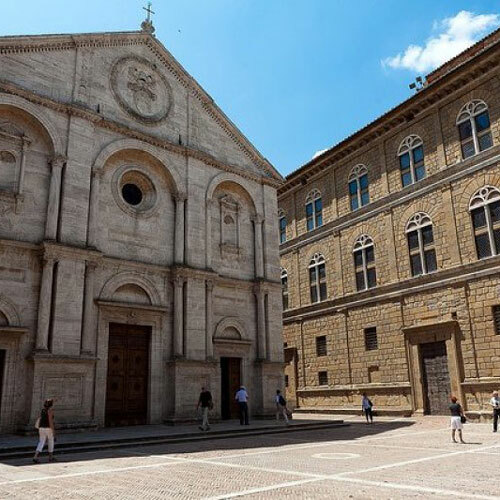 A harmonious complex was built, which includes the Cathedral, the papal residence or Palazzo Piccolomini, the Municipality building, and the lovely central square. Piazza Pio II has a harmonious form giving great dignity and solemnity to all surrounding buildings. They were built of travertine stone, which gives the whole place a light honey color. On a side of the square, you can admire the Dogs’ Well.